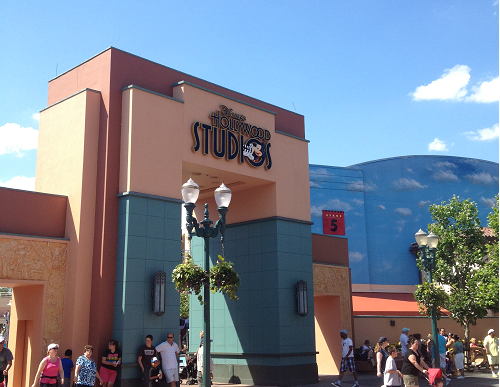 Step right into the glamorous world of film and television when you enter Hollywood Studios. Formerly known as MGM, Hollywood Studios brings the entertainment industry to life with thrilling attractions, behind-the-scenes tours, and exciting new shows for all ages. Hollywood Studios has grown tremendously in size since Walt first pitched the idea 40 years ago, and now features some of Disney World’s most popular attractions. 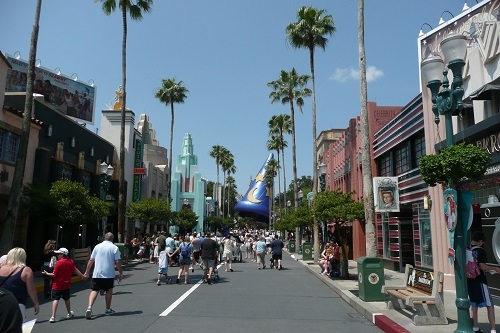 This entrance to the main park is meant to immerse you in Hollywood culture with palm trees, chic shops, and the iconic Sorcerer’s Hat just ahead. The feel of this classic era is especially captured in dining experiences like the Hollywood Brown Derby, or the replica of the Chinese Theater. Make sure you check out the Hollywood Walk of Fame right before getting in line for the Great Movie Ride, an adventure through classic cinema. 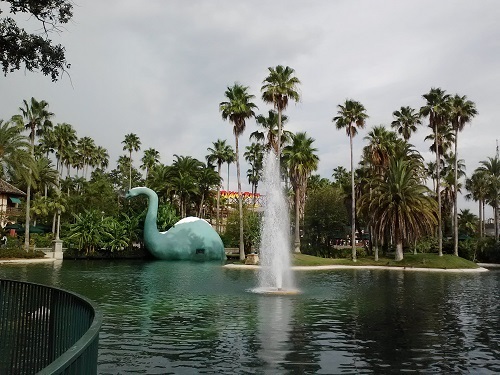 Echo Lake is home to some of Hollywood Studios’ classic landmarks, like Indiana Jones Epic Stunt Spectacular, Star Tours, and the American Idol Experience. Also be sure to check out the notorious eatery, 50’s Prime Time Cafe, where the servers aren’t shy about telling you to keep your elbows off the table! 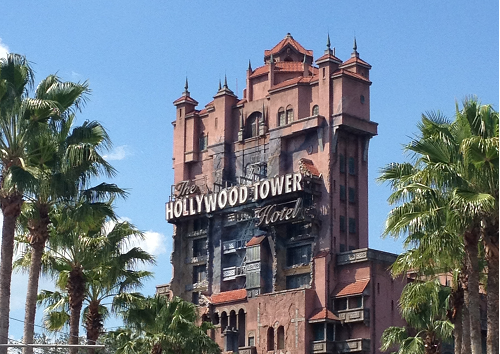 This section of the park hosts a few of Hollywood Studios’ famous attractions: Tower of Terror and Rock n’ Roller Coaster, both of which are only for the bravest vacationers! Also be sure to check out some entertaining shows, like Beauty and the Beast Live on Stage, or the nighttime spectacular, Fantasmic! 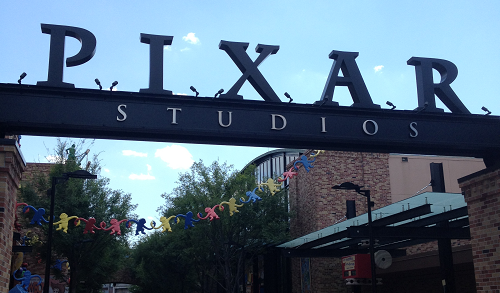 Next up is Pixar Place, a popular attraction for all fans of the animation studio. Here you will find the incredibly popular interactive ride, Toy Story Mania, as well as appearances from Buzz Lightyear, Woody, and even the Green Army Men! Just after Pixar Place lies Animation Courtyard, a tribute to vintage Disney animation. Don’t miss some behind the scenes peeks at the life of Walt Disney, including Walt Disney: One Man’s Dream, and The Magic of Disney Animation. You can also check out a live action reenactment of Ariel’s story in Voyage of the Little Mermaid. This popular section of the park is meant to be reminiscent of lively city streets. 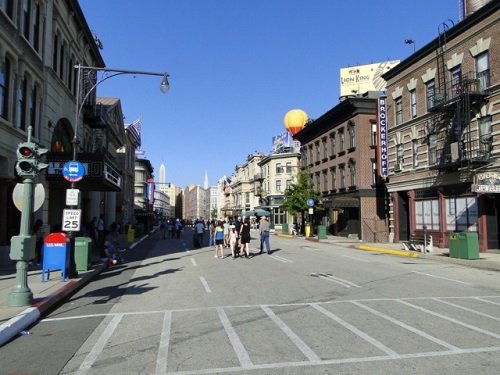 Its most popular attractions are Lights, Motors, Action!, an extreme stunt show for all ages, and the Behind the Scenes Backlot Tour, which gives you a sneak peek at how movie magic is made. Also popular are the Honey, I Shrunk the Kids and Muppet Vision 3D attractions. 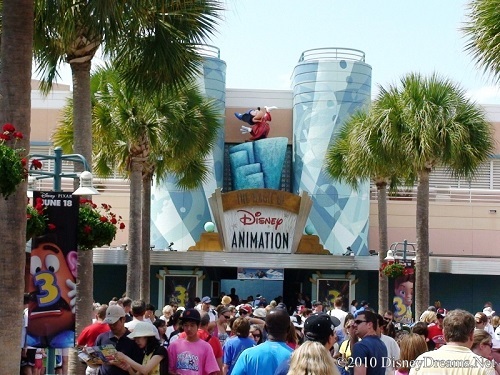 Images courtesy of wikipedia.org, disneydreams.net, and orlandoparknews.com.